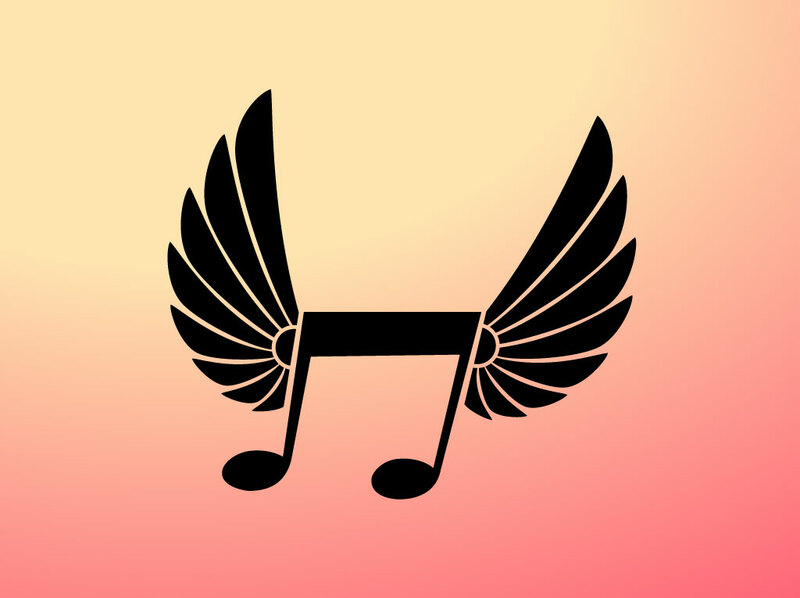 Flying music note vector design. Black Illusttrator music note with simple wings set on a warm orange and yellow gradient background image. Free download for all your music and band themed projects. Great graphics for creating school band embroidered patches, vinyl sticker designs and decorative illustrations. Tags: Audio, Band, Classical, Concert, Melody, Musical, Song, Symphony, Tune.